'BREWSTER' IS ONE OF THE MOST EXTENSIVELY PLANTED COMMERCIAL VARIETIES IN FLORIDA. THE FRUIT IS LARGE, DEEP RED, AND IT IS OF EXCELLENT EATING QUALITY. THE TREE IS A VIGOROUS UPRIGHT GROWER THAT IS WELL SUITED TO FLORIDA. 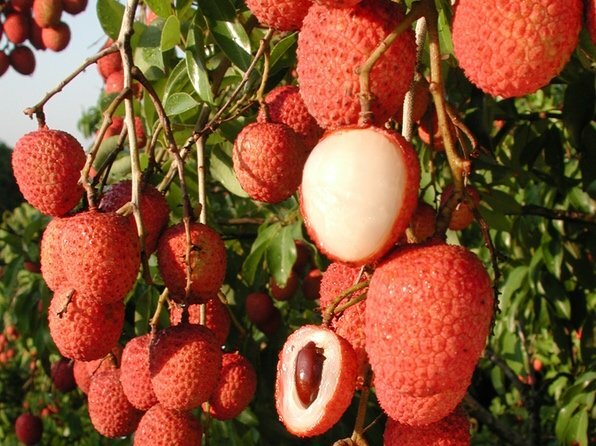 LIKE MANY OTHER LYCHEES IT TENDS TO BE AN ALTERNATE BEARER PRODUCING GOOD CROPS EVERY TWO OUT OF THREE YEARS.